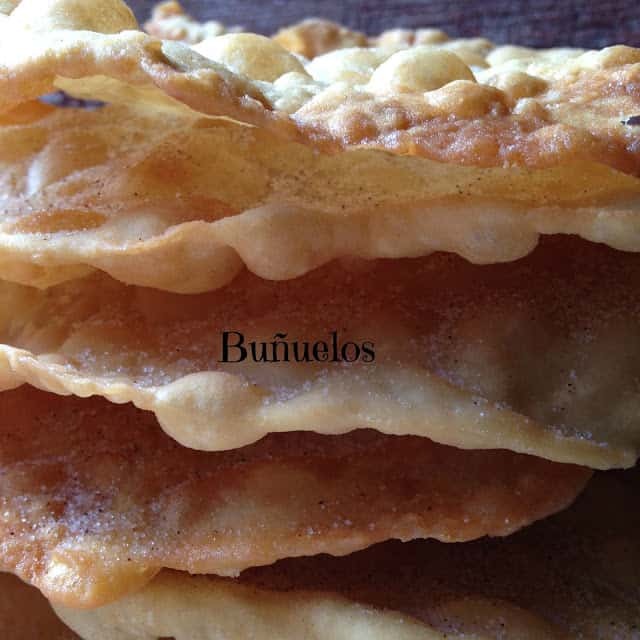 Let’s celebrate Cinco de Mayo with Buñuelos! 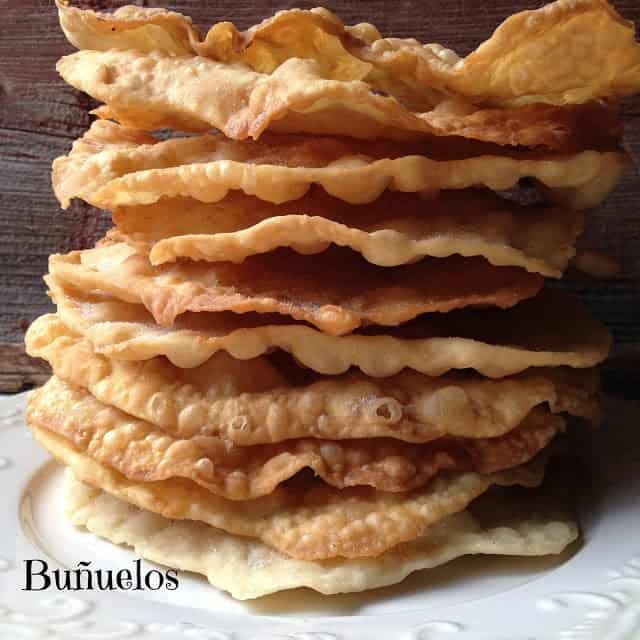 Buñuelos are the perfect ending to any celebration, and boy, are they good!! 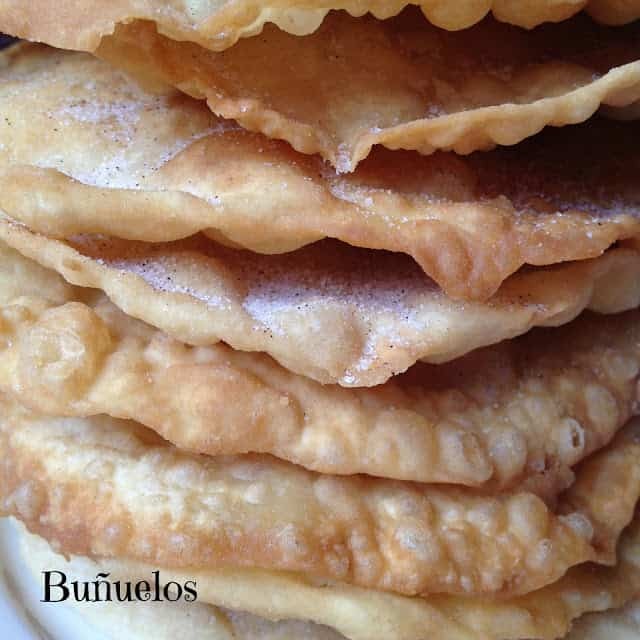 Buñuelos is the Spanish word for ‘fritters’, and who doesn’t like a fritter! 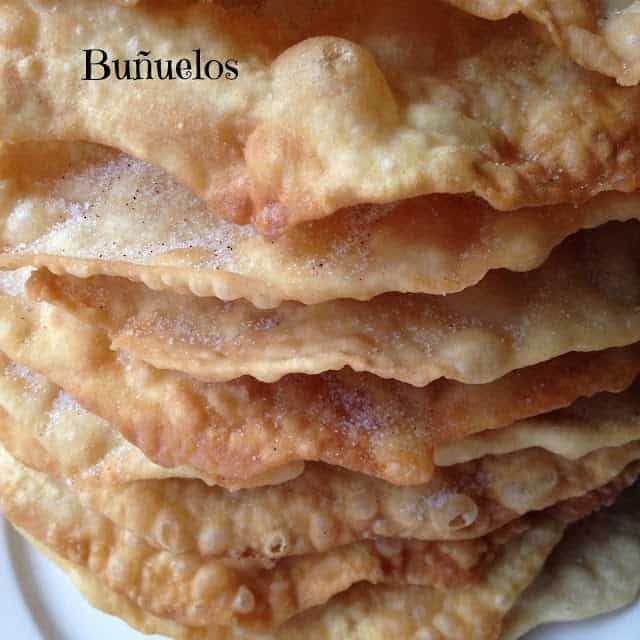 Buñuelos are served for numerous festive occasions and celebrations, from Christmas and Thanksgiving to birthdays and baptisms. 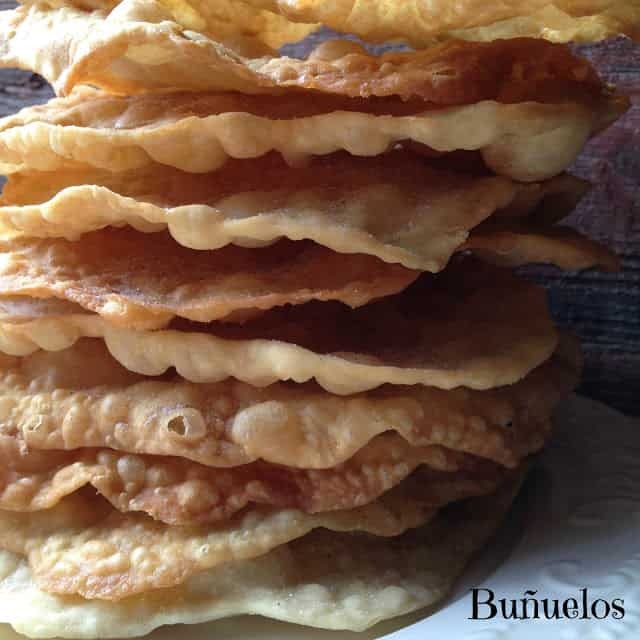 Celebrate Cinco de Mayo with Buñuelos or Mexican Fritters. 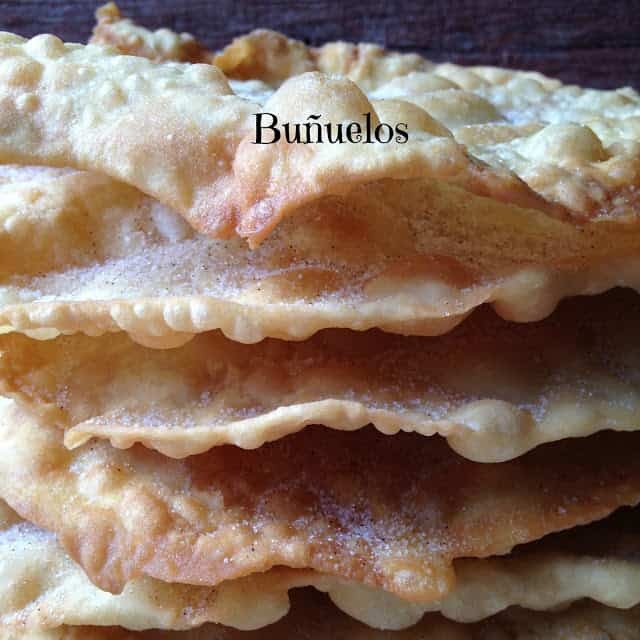 It is thought that Buñuelos originate from Spain. During the Spanish settlement of the Americas, explorers brought the Buñuelo tradition with them. These Buñuelos, or fritter snacks are consumed throughout Latin America and are also popular in Colombia, Nicaragua, and Cuba. Said to bring good luck if eaten during the holidays, Buñuelos are extremely popular on Christmas among the Mexican/Hispanic community. Although the ingredients vary slightly throughout the different regions each recipe made according to local tastes and customs. Many countries add anise tea to the dough others sprinkle them with sugar or a cinnamon-sugar mixture. Some regions drizzle Buñuelos with honey, jam or cream, while others make a syrup called, piloncillo syrup. Pronounced: pee-lon-SEE-yoh. Piloncillo is made from pure, unrefined sugar that is pressed into a cone shape. It tastes very similar to brown sugar with the added hint of molasses flavor. Its name means “little pylon” because of it’s shape. The smaller cones are usually around 1 ounce and the large cones are around 8 ounces. They come in light, “blanco” and dark “oscura” If you don’t have piloncillo on hand you can substitute 1 cup of dark brown sugar and 1 tablespoon molasses for each 8 to 9 oz cone. 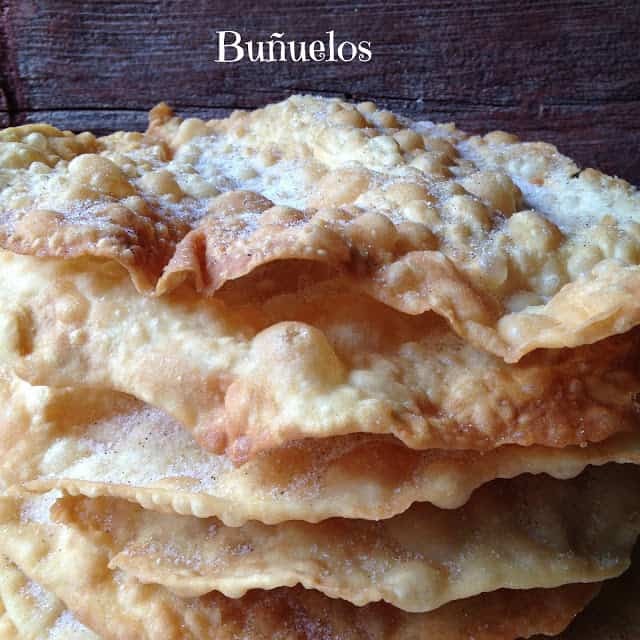 Celebrate Cinco de Mayo with delicious Buñuelos, made extra yummy with the addition of Anise tea. Anise tea adds that extra-special and traditional flavor. You can use milk or water in place of the Anise tea. 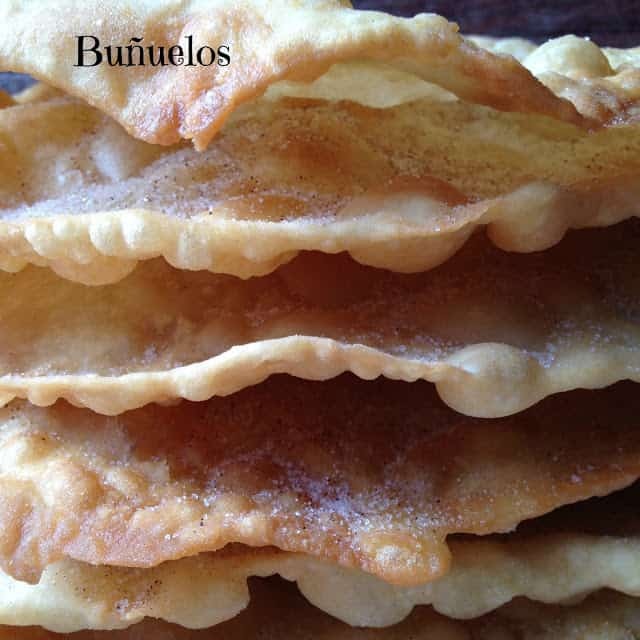 You can sprinkle Buñuelos with a cinnamon-sugar mixture or serve them with a drizzle of Piloncillo syrup. All recipes are given below. 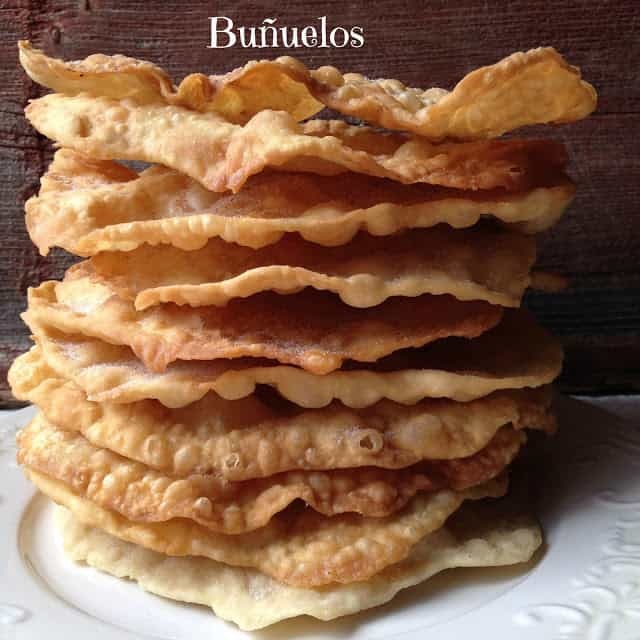 Serve Buñuelos for dessert after enjoying this delicious Cinco de Mayo Dinner. In a large bowl, mix flour, baking powder and salt. In a small bowl beat sugar, eggs and butter; stir in milk/water. Add milk/water mixture to flour. If dough is too dry, add a few more drops of milk/water. Knead dough until it is very smooth. Shape into 20 balls. Cover and let stand for 30 minutes. Heat oil one-inch deep in a large skillet to 360 degrees. Roll each ball out on a lightly floured board into very thin 6-inch circle. Fry bunuelos until golden brown, turning once, drain on paper towels. Sprinkle with cinnamon-sugar while still warm or drizzle with piloncillo syrup, recipe follows. Place water in a small saucepan. Add the anise seeds, remove from heat and to set aside to cool. Strain, use the amount needed to make the dough. Place the 1 cup of water and the piloncillo in a medium saucepan. Heat over medium high heat until the piloncillo dissolves and it looks like liquid caramel. Carefully add the rest of the water, cinnamon stick, guavas, aniseed and orange peel. Bring to a boil. Cook for about 6 minutes, stir and boil for 4 more minutes. For a thicker consistency, simmer for a longer period of time until desired thickness. The syrup keeps in the refrigerator for up to one week. They are delicious and really easy to make. Ohmigoodness, Lynn, I am SO making these tonight! The family will be delighted!